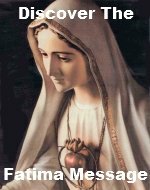 Welcome to our Rosary Promoter submission page. If you promote and spread devotion to the Rosary in anyway we want to applaud your efforts by featuring you in our monthly "Rosary Promoter" showcase. The Rosary can be promoted in a number of ways including creating and selling rosary beads and rosary jewelry. So if you are have Rosary products for sell on Ebay, Etsy or your own site, we want to support you by featuring you and your industriousness. But spreading devotion to the Rosary of course is not limited to products for sale. If you have a blog or website that promotes devotion to the Rosary, we may be interested in interviewing you as well. 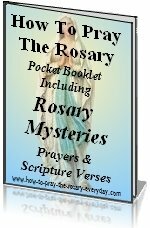 As the featured Rosary Promoter you get a one month spot on our homepage and a permanant page on our site that can be easily linked to. Here your interview will be read by visitors and even commented upon. Please see our terms and conditions for being considered for the Rosary Promoter interview. Please fill out the submission form and we will contact you shortly. Return from Rosary Promoter Submission page to our Home page.